This is the 32nd anniversary of the struggle for Bhopal, and together we are calling for ” No More Bhopal” by presenting an alternative: a poison-free organic India. The Bhopal gas genocide of December 3, 1984, in which at least 2,300 to 10,000 people died overnight and between 200,000 to 500,000 were injured, is the worst industrial disaster in the history of the world. Even today, tens of thousands are dying a slow death due to exposure to the toxic Methly isocyanate (MIC). MIC was used to create a highly noxious pesticide, called ‘Sevin’, which was manufactured by a subsidiary of Dow Chemical Company, Union Carbide Company(UCC). But the poisoning of the Bhopal did not end on 3rd December 1984, toxic chemicals continued to leak from the solar evaporation ponds. They contaminated the water bodies and surrounding areas near the UCC factory. People living in those areas are still exposed to heavy metals such as arsenic, mercury, cadmium, etc. In fact a recent survey found out that 19 out of 20 women living in affected areas still have mercury in their breastmilk. Even after 32 years, people have little access to poison-free, clean water. Children continue to be born deformed and with teratogenic effects. The Chingari Trust, which has been working closely with the disabled children, has about 800 children with disabilities enrolled, yet thousands more are left out as there are no rehabilitatation facilties for them. The current situation is grim for survivors as the government hospitals that were set up to treat the victims are now defunct. Due to lack of resources and doctors, the victims and their families have to go to private clinics and hospitals. Furthermore, the government of India still has not managed to get just compensation for survivors. There are many cases being fought against Dow by the people of Bhopal, demanding justice for their losses and demanding to make the company liable for crimes against the people of Bhopal and to make sure no corporation in the world can get away with such heinous crimes. Faced with such corrupt systems and corporations, the people of Bhopal along with Navdanya will be organising a People’s Assembly to give out our judgement against Dow-DuPont for their crimes. Through this assembly we will analyse each aspect of the genocide and pass the verdict. We have experts from all fields that have worked closely with Bhopal survivors and continue to fight to achieve justice for Bhopal. Today, Bhopal is not just a city: it represents the crisis that is still affecting its people even after three decades. At worst today the posions of Bhopal have seeped into every home with the spread of industrial agricutlure. There are cancer trains going from Punjab to Rajasthan, and all across the fertile farming lands of India – especially in the rural areas there is a growing cancer epidemic. 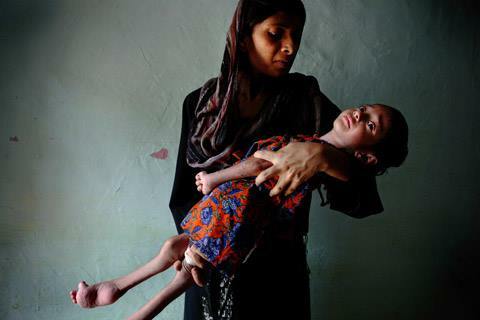 The same poisons that caused genocide in Bhopal are now killing millions across the whole country. There is a food style disease epidemic, that is caused by toxin-laden, pesticide-sprayed foods. From our venue of Gandhi Bhavan, Bhopal, we shall pledge to create an alternative to the poisons in our food systems and an alternative to the toxic cartel of war (chemical) -producing companies that are destroying our food and our health. We shall give a call for Organic India, and make sure that all of our fields and farms are free of the chemical poisons of the Green Revolution. There will be no place for toxics in our farms or on our plates. We had work to create a poison-free and organic India by 2020 and send out a message to all people of the world, NO MORE BHOPAL, not in our fields and not in our foods.